1. Blood work: After two years of monthly blood work, which involved more than one year prior to getting pregnant to ensure my blood sugars were perfect pre-conception, and then nine months of once-a-month tests to ensure BG perfection throughout the pregnancy, I held my pin cushion of an arm out for the pretty little vampires one last time last Monday. 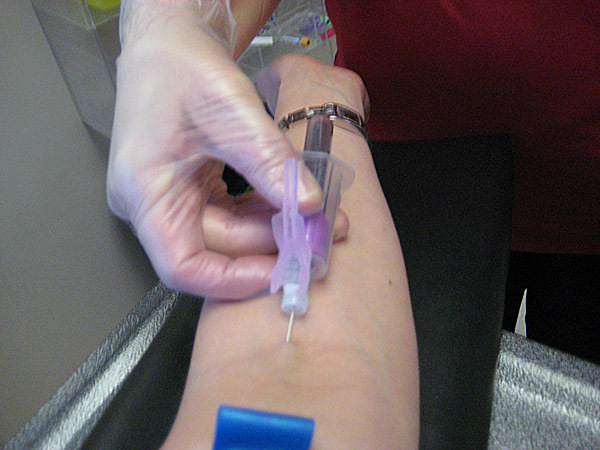 When you get blood work done this much, you learn which labs are the quickest and which ones have the best (and by best I mean least painful) blood suckers on staff. 2. Diabetes in pregnancy clinic: Last Tuesday was the last time I will ever step foot in that god-forsaken, numb-skull driven place again. 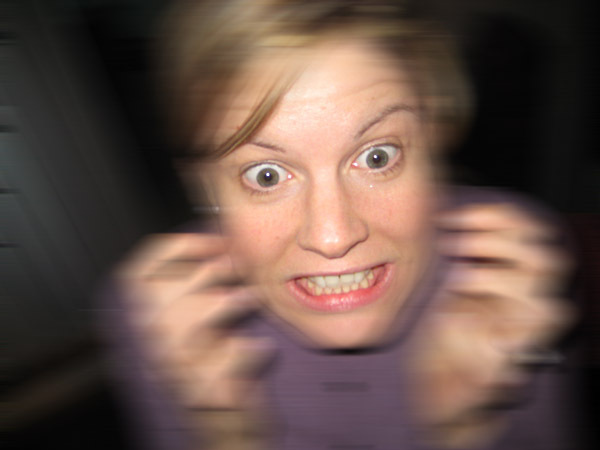 When you have a nurse who works in a pregnancy in diabetes clinic who asks if you might be pregnant – one month after regularly going there! – and when you’ve got an evil hag of a dietitian who makes you want to go and vomit every time you eat, I’m thinking you got a problem. 3. 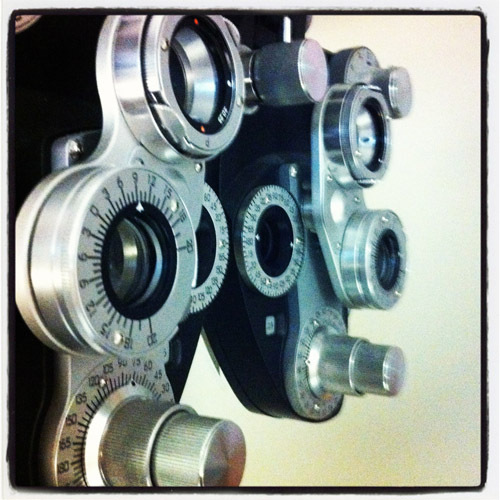 Eye exams: Each trimester of this pregnancy I have required an eye exam to ensure the pregnancy hormones and pregnancy blood sugars haven’t caused diabetic damage to my eyes. And you know, I figured, given that I had to endure those blinding eye drops, the eye gods could have done me a solid and granted me my wish of finally being sentenced to a life of eye glasses (when a girl looks as great as I do in glasses, she should NOT be deprived!) but nooooo, the eyes continued to be the epitome of sight perfection. 4. Non-stress test: As of Monday, the one-and-a-half months of twice-a-week non-stress tests, which at times were actually quite stressful, were no more. 5. 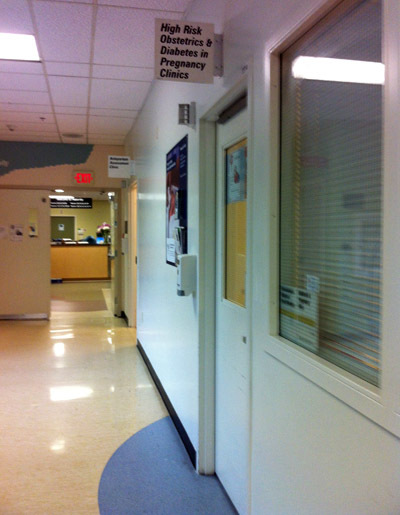 Obstetrician: Today, I went in for my last obstetrician appointment, which means no more freaking the crap out of me, no more poking and prodding, and other evil things to me (in the office that is) and no more peeing all over my hands. Oh happy day. 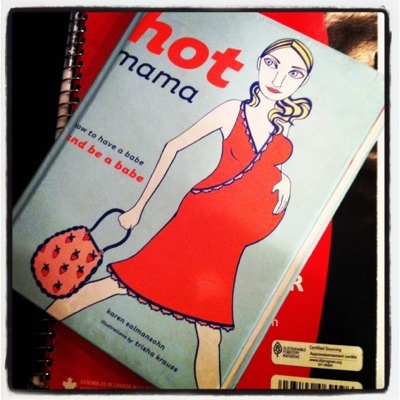 This book in the obstetrician’s office always made me laugh, but nine times out of 10, I left not feeling like a hot mama. 6. DINKs: Tonight could very well be the last night Big Ring and I are a Dual Income No Kid family. Oh crap! Oh crap! Oh crap! Oh crap! Oh crap! Oh crap! Oh crap! The reason for the lasts: My due date is Sept. 20. It was suspected I’d be induced around Sept. 6 (the day before my grandpa’s birthday; the most amazing man I ever knew). But following the results of my last ultrasound last Thursday, which showed a long-legged, pot-bellied, eight-pounder with a highly visible “layer of fat,” it was decided I’d be induced on Monday. Labour Day (how appropriate!). But today, that all changed. 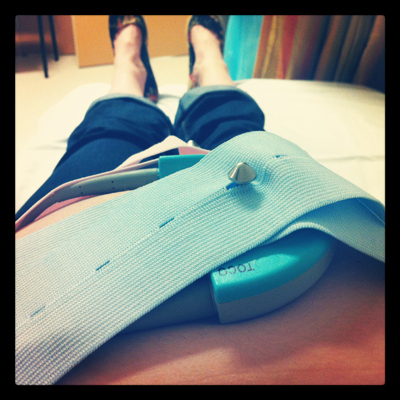 After complaining of an incessantly itchy belly last week, I was sent for some blood work, and it turns out my liver enzymes have elevated (yet another pregnancy side effect I’ve been plagued with) and they figured it would be best if we start the process sooner rather than later. The lasts was first published on Aug. 29, 2012.